As you may have realised if you follow me on social media or read this blog regularly, last year, especially the last 3 months of the year, was so busy. 2014 was also very, very busy and mainly taken up with writing my book. It is very hard to say no to work when you're self-employed. Last year I kept saying yes to workshops and before I knew it I was over-booked. I didn't have a single week from mid-September to mid-December free. So this year I'm being more sensible and will try to achieve more balance in my life. I'm trying to book more workshops evenly throughout the year. Last year I taught 36 workshops throughout the year but 19 of those were in 3 months. As far as workshops are concerned I'm already fully booked for 2016 with many more workshops than last year but they're evenly divided throughout the year. And I will take on other commitment around my workshop bookings. I'm hoping to start writing my next book soon. I've also got magazine commissions lined up and more of those will come in throughout the year. My goal is to self-publish one pattern each month as well as a collection this spring and hopefully another one next autumn, so it's shaping up to be another busy year. To try to achieve more balance in my life, I will make time for other creative pursuits like sewing, colouring in and journaling. Add to that chronic health issues, it's important that I ensure I balance work and rest for the sake of my heath and well-being. This autumn was very stressful at times and because of the heavy teaching schedule I got behind with everything else. 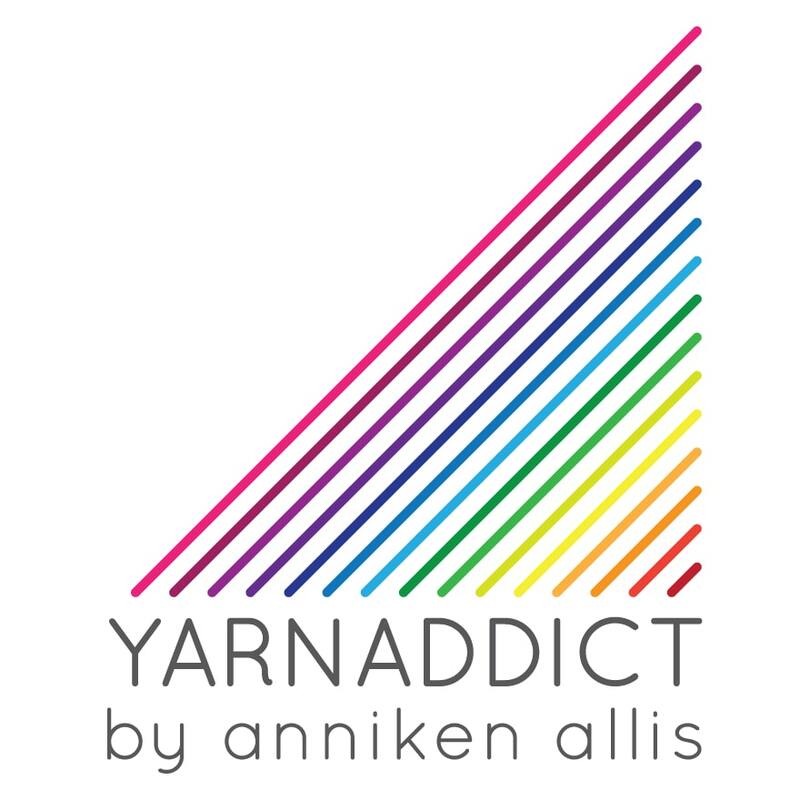 I delivered a collection of patterns for a yarn company much later than I'd planned, missed magazine submission deadlines which means missing out on possible future work and I'm very behind on e-mails and other admin work. Being behind on e-mails means I'm making my customers unhappy and forever apologising. I must get the e-mail situation, in particular, under control, catch up on the back log and find a way of staying up to date. I'm using this gorgeous Foxy Fix leather cover to hold my notebooks that help me plan my social media, keep notes on various things as well as my journal. My second word this year is FOCUS. I need to focus on writing my book, and get started on that as soon a I sign the contract. I also need to focus on saying yes to the jobs that will bring me closer to my goals, both for this year and my longer term goals. When I started designing I didn't have any specific long term goals and so far my career has progressed mainly because I've submitted to magazine and yarn company calls for designs and said yes to opportunities that have come my way. Now I've got several years experience under my belt and my workshops have grown to provide regular monthly income, it's time to set some long term goals. Longer term, I'd like to rely less on magazine and yarn company designs and more on self-publishing and writing books because working to constant magazine deadlines is very hard work and it's stressful. Because, although I have been selfpublishing, I've mainly relied on third party publishing and that means that my self-published sales aren't what they ought to be. I tried to focus on pushing self-published sales last year and my sales have grown. This year I'd like to continue to grow that side of my business as well as the wholesale pattern side. I have one shop that regularly sell my patterns and a few others that order occasionally. It's time to increase the shops that regularly order my print patterns. I will make time to knit a few things for myself this year, other than socks and shawls. But let's start with socks. This is a sparky Opal yarn. I'm hoping choosing two words for 2016 will help me to say yes to work that will bring me closer to my goals and to not leave me exhausted by the end of the year. We've got one fabulous holiday planned so far this year - my parents are taking us all (including my sister and her family) on a cruise to celebrate their 70th birthdays this year. I've never been on a cruise so I'm very excited. The cruise is in July and in September we're planning a family holiday to celebrate Simon's 50th birthday, Vanessa's 21st and Emily's 18th (oh and it's our 25th wedding anniversary in September too). Yes it's a massive year for big birthdays in our family (Simon's dad is 80 this year too). And we'll finish the year with Christmas in Norway like we do every other year. So although I've got lots of work booked in already and more workshops than every before, I've got holidays planned and I'm not teaching at all in August. Let's hope I can achieve more balance in 2016 than I did last year. Do you have any words for 2016? Do you find it useful to focus on a word for the year?